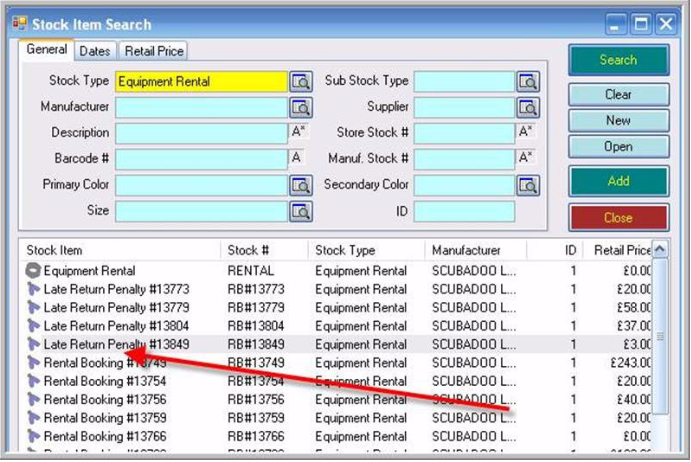 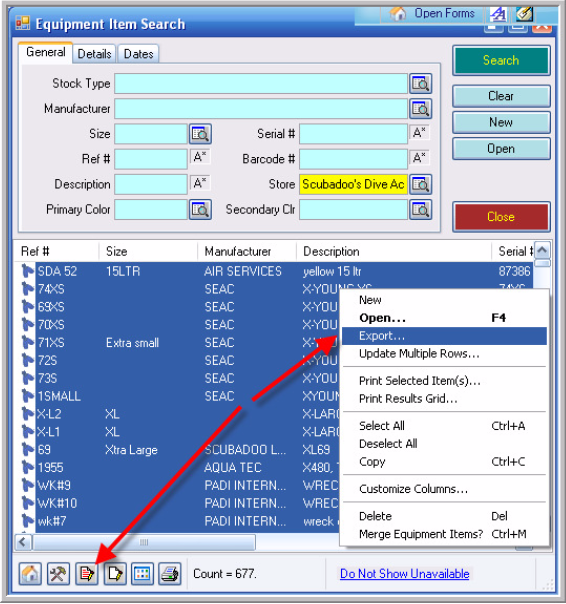 Go to Data / Equipment Items / Find and Search for all of your rental equipment. 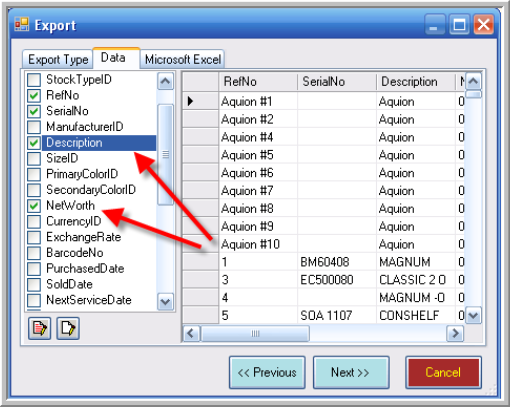 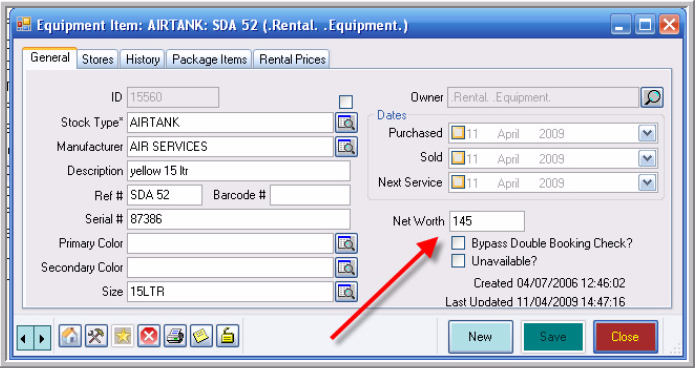 The, in Excel, sum the values that appear in the Net Worth column and you’ll have your rental equipment value. 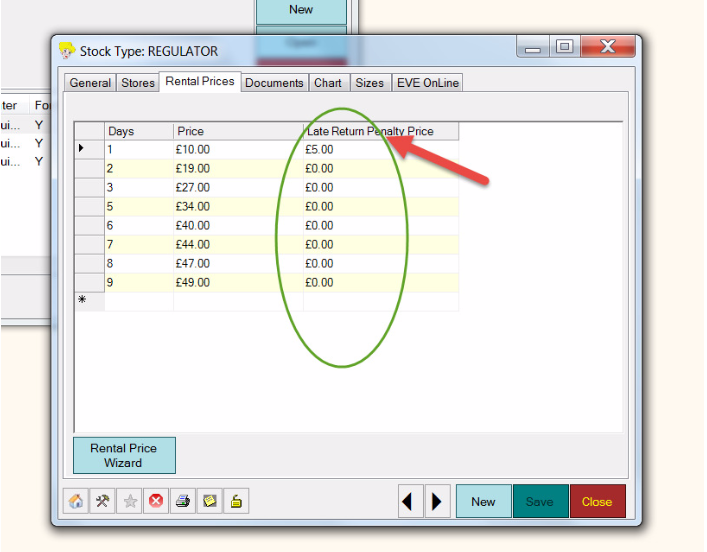 If you’ll have already made the profile for the customer you can then use the Profile button in the rental booking to create the rental booking. 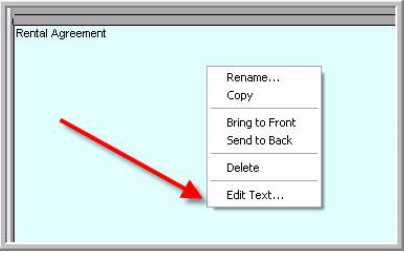 Enter the new wording you want in the box that will open up. 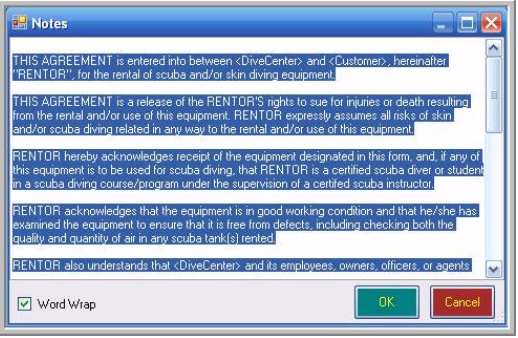 Note the merge fields for DiveCenter and Customer – these should be kept if you want EVE to populate the agreement with those details automatically. 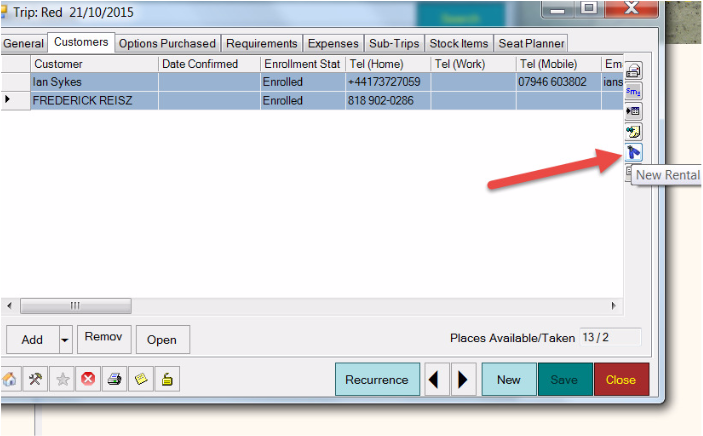 When checking in the late items you’ll be prompted.